Columbia Art Center offers a broad menu of exhibits, tours and special events. These include free monthly Salon Series presentations that feature artists, writers and musicians sharing their craft (co-sponsored by Little Patuxent Review); exhibits featuring local and regional artists in the main and window galleries; and, most recently, the Wilde Reading Series, which explores how the craft of writing can inspire and fuel the imagination in this free monthly series, which is followed by an open mic. Now is the time for your voice to be heard! Join other area teens in sharing your poetry or spoken word. The night’s theme is “Choose Civility,” so bring work centered on increasing kindness, empathy and understanding in our community. A cash prize will be awarded to the winning performance. This event is free but registration is encouraged. One More Than Nine: 10 Years of Hope Through ArtFeaturing art and written words that incorporate the number 10 literally or symbolically. Proceeds from this show will go to the Claudia Mayer/Tina Broccolino Cancer Resource Center at Howard County General Hospital. Learn more about the enduring spirit of the resource center and Blossoms of Hope — exemplified by perseverance, hope, courage, strength, and thriving! Tara Hart, Ph.D., Coordinator of Fine Arts and Creative Writing at Howard Community College and Howard County Poetry & Literature Society (HoCoPoLitSo) Co-Chair, Board of Directors. Ryna May, Professor of English and Literature at Howard Community College. Attention artists: Are you interested in renting one of our gallery spaces for one-to-two-week shows? For a small rental fee, you set up your own show and coordinate your own reception and artist talks. For more information, please call 410-730-0075, email Art.Staff@ColumbiaAssociation.org or visit ColumbiaArtCenter.org. All events held at Columbia Art Center, 6100 Foreland Garth, Columbia. 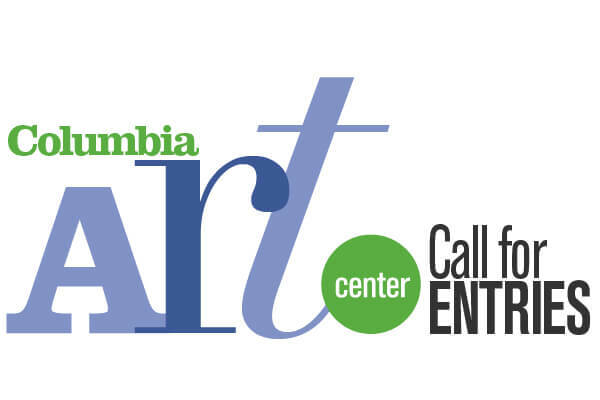 Columbia Art Center (CAC) accepts proposals from individual artists, curators, small groups and arts organizations. Artists working in all media and styles, including installation, are encouraged to apply. Click here for more information and to download an application. If you have further questions, please call 410-730-0075 or email Art.Staff@ColumbiaAssociation.org. Columbia Art Center is a Columbia Association facility.